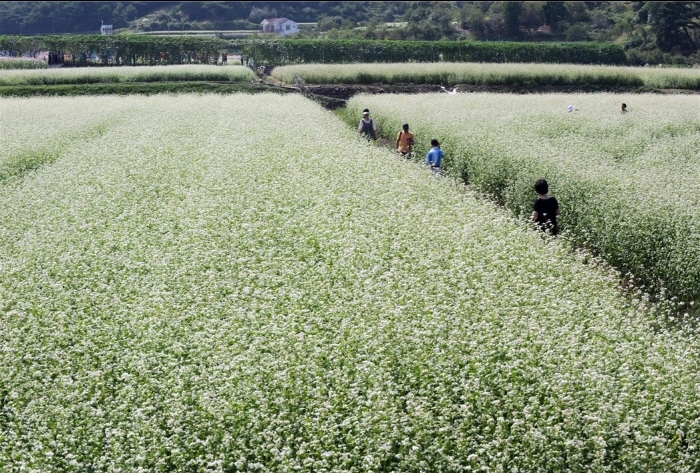 Hodong Bukcheon Cosmos and Buckwheat Festival is an experience-based festival held to promote farming tourism by using the local farming landscape in connection with Direct Payment Program for Rural Landscape Preservation. The festival also aims to contribute to the regional economy and farming value. 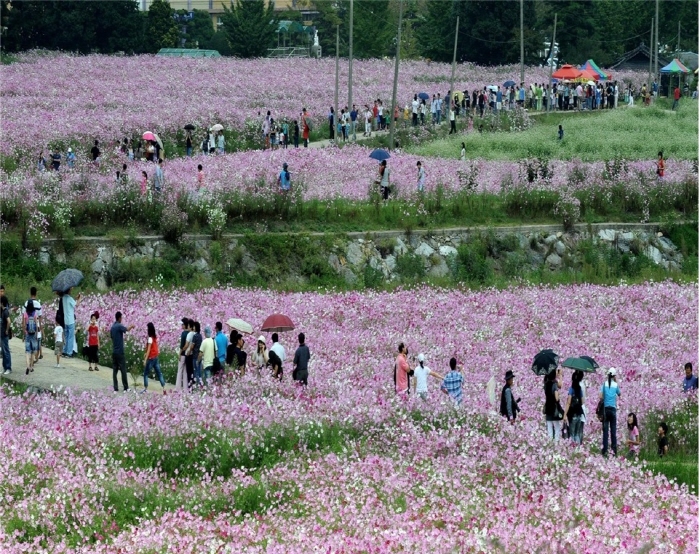 This year’s festival prepares fantastic cosmos and buckwheat flowers to welcome a million visitors to autumn. From Seoul Nambu Terminal, take a bus bound for Hadong Intercity Bus Terminal. At the terminal, transfer to Hadong-Jingyo Bus and get off at Daedeok (대덕) Bus Stop. From the Daedeok (대덕) Bus Stop, take a Cheonghak-dong-Jinju (Bukcheon) Bus and get off at the Jikjeon (직전) Bus Stop. Walk along the right side road for about 110 m to reach Jikjeon.